As part of our goal in sharing and celebrating the love of cars, we have made plans to visit a number of specialty car builders and shops in places around the world. 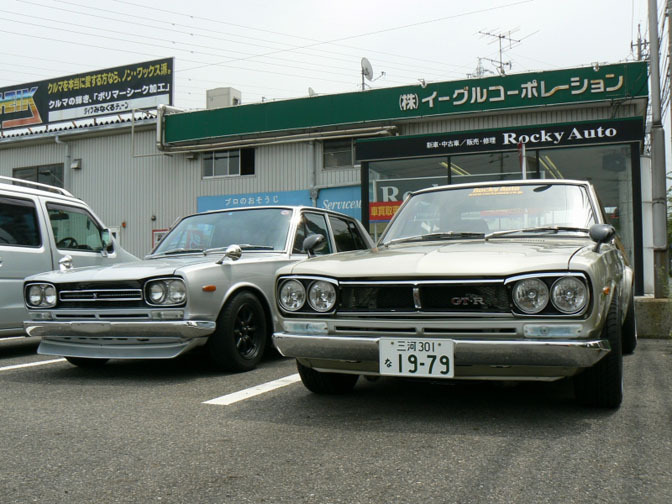 One of the ones that we were planning to hit was Rocky Auto, the famous builder and restorer of vintage Nissan cars located central Japan. 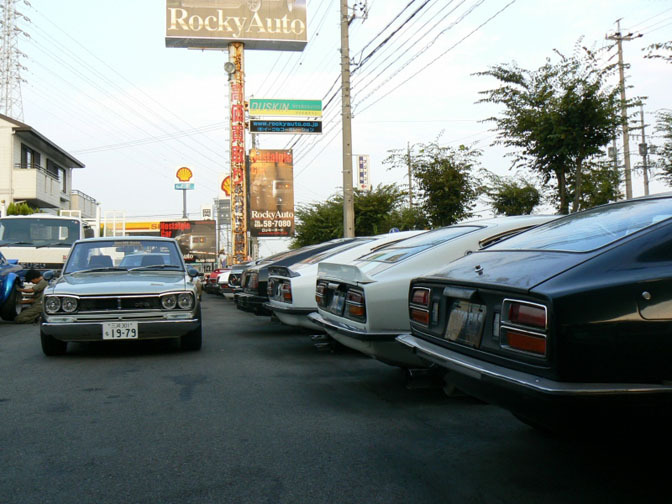 In a response to my post about the Tokyo Nostalgic Car Show, I was pleased see that Spitfire, one of our readers here, has already done the "task" of visiting Rocky Auto and documenting his findings. He was nice enough to share his photographs with us, and it looks like he saw quite a bit of cool stuff. 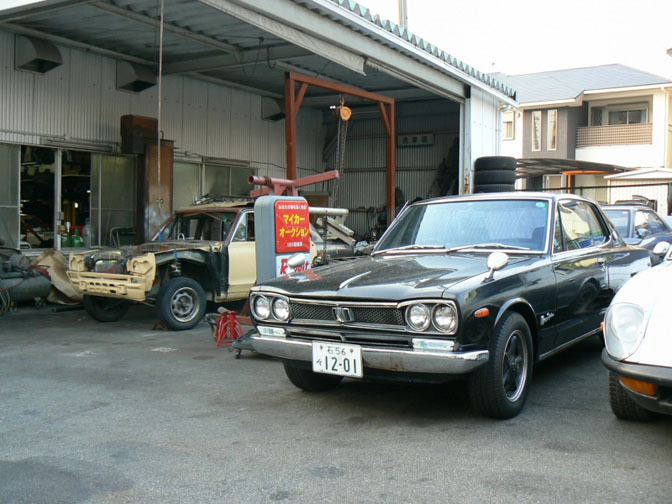 Heaven for classic Japanese car enthusiasts. 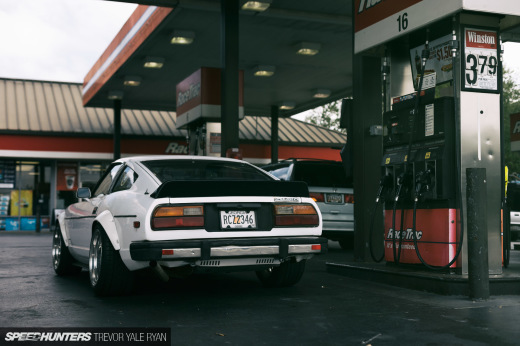 From what I can tell, the white car looks like an all original genuine Hakosuka GT-R. The Orange S30Z is rocking RB26 power. 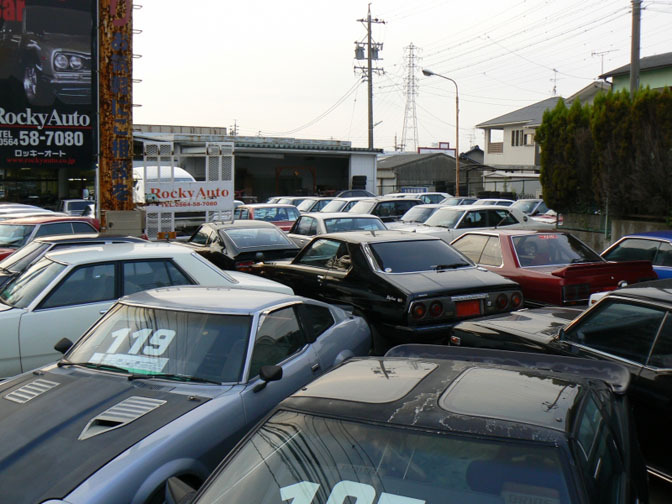 This scene looks much like a typical jam-packed Japanese used car lot, except all the cars are classics. I bet they would be pretty mad if you told them you wanted to test drive the black Skyline parked in the middle. They would have to move like 20 cars just to get it out! 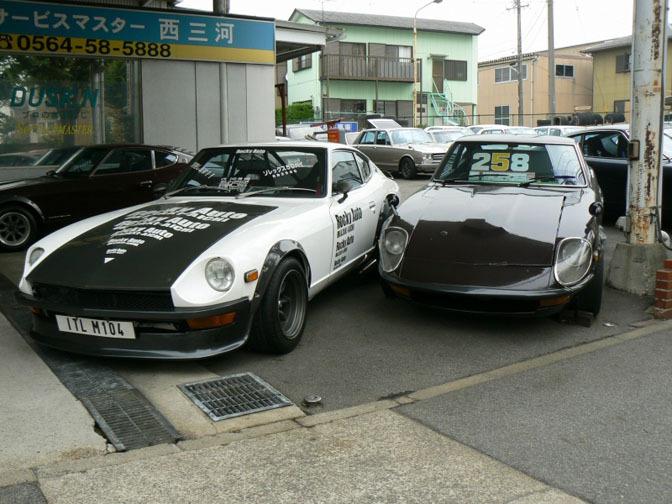 More S30's. What do you think of Rocky Auto's graphics scheme? I kind of like the way the words form an arrow of sorts. Looks the yellow Hakosuka is going under the knife for transformation into one of Rocky Auto's signature monster machines. When I win the lotto I know where I'll be spending my money. More classics lined up front of the shop. I wonder how many cars they have in total? Thanks again to Spitfire for the photos. 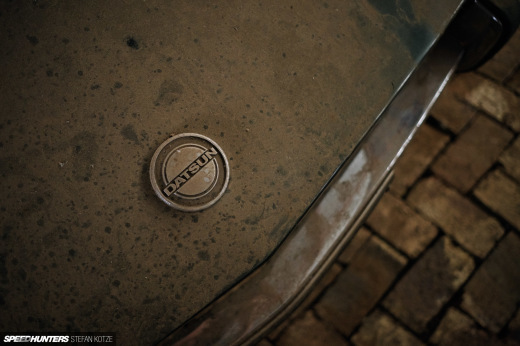 Be sure to check out the rest of his pictures from Rocky Auto at the link below. WOW!. I need to get me one of these cars! Yes! 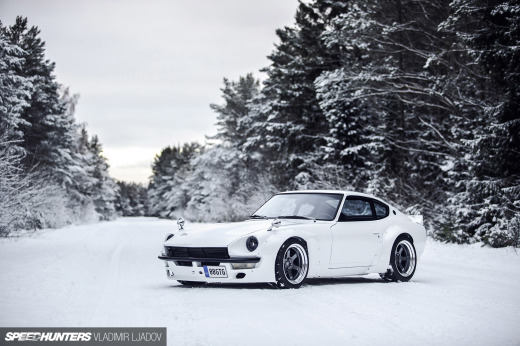 S30 RB Powered Z! I'll take two. Right then, next year I'm over, so I'm selling my grandma in the mean time. Any takers?